The Blind Boys of Alabama are probably the world’s hippest septuagenarians. Not only did they take a song suggestion from Tom Waits (the traditional “Old Blind Barnabus”), but they’re also joined by rapper Gift of Gab on a version of Fatboy Slim and Macy Gray’s “Demons.” Atom Bomb draws from traditional gospel themes: “I Know I’ve Been Converted” would’ve fit snugly on the soundtrack to last year’s The Ladykillers, and “Talk About Suffering” talks about, well, suffering. Most notable, though, is the album’s title track, a cover of a 1950s Soul Stirrers song that buries concerns about the A-bomb beneath a toe-tapping melody and layered vocals. 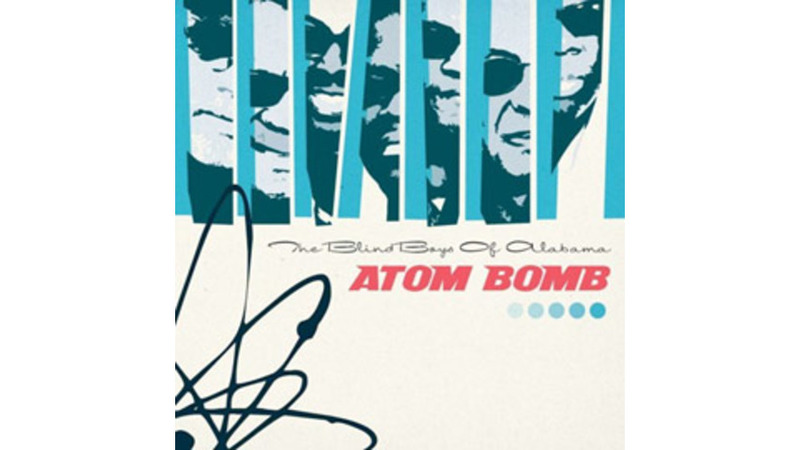 “Atom Bomb” is like a soul version of the perennial “Where Have All the Flowers Gone”: if history is destined to repeat itself, maybe it takes musicians wise as the Blind Boys to remind us we’ve been here before.